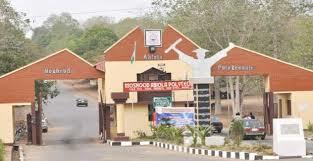 Rector of Moshood Abiola Polytechnic(MAPOLY), Abeokuta, Dr. Samson Odedina, has said the institution is ready to resume academic activities. This is coming just as the Academic Staff Union of Polytechnic (ASUP), the umbrella body of lecturers in polytechnics, suspended its two month-old strike on Tuesday, last week. Odedina, told CAMPUSLIFE last week that the crisis rocking the institution had been resolved. Initially, MAPOLY lecturers did not join the strike which started in the first week of December. The management of the institution even declared as festive holiday Wednesday, December 12 through to Monday, January 7. However, by January 8, the then ASUP chairman Kola Abiola announced on a radio programme that the institution was on strike, a development that surprised students. In an interview with Campus Life, Odedina said the lecturers had received their outstanding arrears. Odedina continued: “It has been resolved because our salary has been paid up to date and we are expecting January salary and a one month arrears in 2017. He however declined comment on whether students would still resume despite the elections. Ahead of the time, lecturers of the institution were on a partial strike described as ‘work to rule’, one of the crises that resulted from the transition occasioned by the rechristening of the institution from MAPOLY to Moshood Abiola University of Technology (MAUSTECH). When contacted, the newly elected MAPOLY ASUP Chairman, Babatunde Osifalujo told Campus Life to direct his questions to the management. The union was expected to hold its congress today (Tuesday) to address issues surrounding MAPOLY- MAUSTECH, among others. We can help you get the form if you stay far from the school or have issues in getting the form. 1. You can come to our office and call the number below. We will charge you 3,000 Naira for the form and registration. We will also print your application details and photo card. 2. Through whatsapp for candidates in far distance/other states.Whatsapp us on 08080085555 so we can help you get the form; When we have completed the registration, we will send your two print outs to your email address or whatsapp number. Credit Passes in five (5) subjects including English Language and Mathematics obtained at not more than two sittings. Literature- in- English or Oral English are not acceptable as substitutes for English language. Note: Accountancy and Banking & Finance require a Credit in at least one of Economics / Commerce / Principle of Accounts / Book Keeping. Business Administration and Marketing require a credit in one of Economics and Commerce. Credit Passes in four (4) subjects at one sitting or credit passes in five (5) subjects at two (2) sittings which must include Mathematics with at least a pass in English, credit in two (2) basic Science subjects (Physics, Chemistry, Biology/Agric. Science and a Pass in the third Science subject. Note: Pharmaceutical Technology requires a credit in Biology not Agric. Science and accepts a Pass in Physics. Food Technology requires a pass in Physics; Computer Science requires a Credit in English Language, Physics/Basic Electronics/Electricity. Credit passes in Five (5) subjects obtained at not more than two (2) sittings including English Language, Mathematics and one of Biology/Agric. Science/Food and Nutrition. ing and one Nigerian language (Yoruba/Igbo/Hausa). Credit passes in Five (5) subjects obtained at not more than two (2) sittings including English Language, Mathematics and Geography. Two (2) other credits from Economics/ Commerce, History, Book Keeping, Principles of Accounts, Mathematics, Fine Arts, French, Food & Nutrition, Home Economics, Government and one Nigerian language. (Yoruba/Igbo/Hausa). Two (2) other credits from Physics, Economics/Commerce, English Language, Home Economics, Food and Nutrition. Credit passes in Five (5) at obtained at not more than two (2) sittings. These subjects must include; English Language, Mathematics, Economics and one of Physics/Chemistry, Biology/Agric Science, with Credit in any of the listed subjects: Geography, Government, Principle of Account, Technical Drawing, Fine Arts. Credit passes in four (4) subjects at one sitting or Credit passes in five (5) subjects at not more than two (2) sittings. These subjects must include Mathematics, Physics and English Language. And two other (2) additional Credit passes in any of Technical Drawing, Metal Work/Wood Work, Further Mathematics, Geography, Biology/Agric Science, Chemistry and Economics. Three (3) or four (4)other credits from Biology/Agric. Science, English Language, Fine Art/Visual Art/Cultural and Creative Art/Die and Bleaching, Chemistry, History/Government, Literature in English, Clothing and Textiles, Geography, Economics/Commerce, Religious Knowledge, Technical Drawing and Home Economics. Credit passes in Four subjects at one (1) sitting or Credit passes in five (5) subjects at not more than two sittings including Mathematics, English and one from Physics/Chemistry/Biology. Two (2) or three (3) other credits from Biology/Agric. Science, Chemistry, Physics, Further Mathematics, Geography, Economics/Commerce, Fine Arts/Technical Drawing, Government/History, Religious Knowledge and one Nigerian Language. Credit passes in Five (5) subjects at not more than two sittings including English Language, Mathematics, Physics and Chemistry. One (1) other credit from Metal Work, Technical Drawing, Further Mathematics, Basic Electricity/Electronics, Biology/Agric. Science, Geography, Electrical Installation and Maintenance Work, Economics , Computer Studies, Civic. Any three (3) other credits from any of History, Literature in English, Economics/Commerce, Fine Arts, French, Government, Biology, Physics, Chemistry, Geography, Typewriting, Principles of Accounts and one Nigerian language (Yoruba/Igbo/Hausa), Religious Studies (CRK/IRK). A minimum of credit pass in Literature in English is required in addition to the normal entry requirements. Note: Office Technology & Management accepts credit pass in Shorthand. · Prospective Corps Members should ensure that they have functional e-mail addresses that they can access and Nigerian (GSM) telephone numbers with which to register. Such e-mail address and phone numbers must be maintained throughout the service year. · Locally-trained prospective Corps Members are expected to use correct institution matriculation numbers to register. · For locally-trained graduates, only those whose names appear on the Senate/Academic Board Approved Result lists submitted by their institutions will have access to register on the NYSC portal. · Foreign-trained prospective Corps Members should NOTE that ONLY those that graduated from accredited institutions are qualified for mobilization. Any foreign-trained prospective Corps Member who is in doubt of the accreditation status of his/her institution should approach the Federal Ministry of Education for verification. 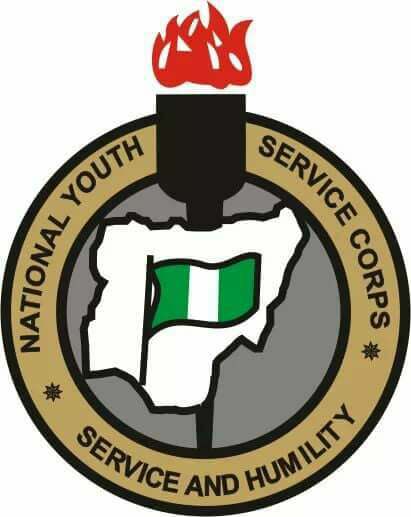 · Foreign-trained graduates seeking mobilization for national service should NOT visit NYSC Headquarters, Abuja, for physical verification of their documents. The exercise will be done at the orientation camps. They are to print their call-up letters online and report to the orientation camps in their states of deployment. · Foreign-trained graduates are expected to go to the camps with the original documents they uploaded for verification. · Provisional certificates, To Whom It May Concern, on-line print-out, scanned and photocopies of credentials are not acceptable. · Foreign-trained graduates who registered for Exemption Certificate shall present all their original academic credentials and international passport for physical verification when they come to collect the certificate at the National Directorate Headquarters, Abuja. · All foreign-trained graduates who registered and are excluded from service should also present original academic credentials and international passport at the NYSC NDHQ, Abuja, for physical verification before Exclusion Letters are printed on-line. 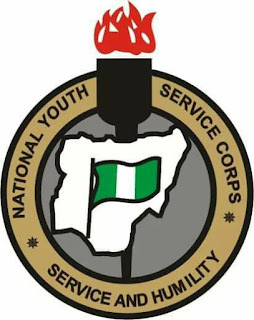 · All foreign-trained prospective Corps Members who registered but were not called up for service in the last batch should log on to the NYSC portal to revalidate their registration. This category of persons need not pay N3,000.00 (three thousand naira) again. · Anybody who presents any fake document will be demobilized, decamped and handed over to the security agents. · On no account should prospective Corps Members register by PROXY. They should also remember the fingers used for their biometric capturing as this will be used for verification at the orientation camps. Those who cannot be verified with their biometric at the orientation camps will not be registered. · Only Prospective Corps Members who want their call-up numbers sent to them through SMS and wish to PRINT their call-up letters online are expected to pay the sum of Three Thousand Naira (N3,000.00) (see NYSC Portal on how to make payment). · Prospective Corps Members who do not want to pay the N3,000.00 have the option of going to their institutions to check their call-up numbers and collect their call-up letters. · All Prospective Corps Members who had paid for the on-line registration before but were not mobilized need not pay again. · A married female Prospective Corps Member (whether locally or foreign-trained) should upload copies of her marriage certificate, evidence of change of name and husband’s place of domicile during registration. · The Orientation Camps are not ideal for pregnant and nursing mothers. Prospective Corps Members in this category are therefore, to note that they will not be accommodated. · Prospective Corps Members with serious health challenge should indicate their TRUE HEALTH STATUS during registration to enable concessional deployment for them. 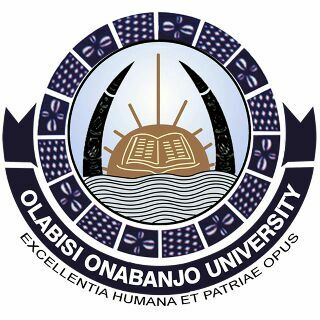 Olabisi Onabanjo University, OOU Post UTME/direct entry admission screening application form for 2018/2019 admission exercise is out. OOU cut-off mark is 180. Candidates with a score of 180 and above can apply irrespective of their institution of choice. Candidate eligible for OOU post UTME. · UTME candidates that picked the University with a minimum score of 180 in the 2018/2019 UTME Results. · Candidates who did not pick the University but with a minimum score of 180 in the 2017/2018 UTME results. · Candidates with ‘A’ Level/ OND/HND/NCE/A’LEVEL/JUPEB Results/Certificate or First Degree who had applied for Direct Entry Admission through JAMB into the University. · Candidates who possess Diploma certificate of the University and who had applied for Direct Entry admission through JAMB into the University. · Candidates with Diploma from other approved institutions with minimum of Upper Credit who had applied through JAMB for Direct Entry admission into the University. 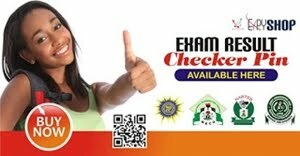 Each eligible candidate will pay the sum of N2, 000.00 (Two Thousand Naira) only for the Screening Exercise. Each candidate is expected to create a profile through the school Portal http://putme.oouagoiwoye.edu.ng/apply.php and thereafter generate a payment invoice. 1. On-line Payment – visit: http://putme.oouagoiwoye.edu.ng/apply.php and follow the guide-lines for payment. 2. OOU CAMPUSES – Any of the University Point of Sales (POS) on any of our Campuses (Ago – Iwoye, Sagamu, Ayetoro&Ibogun). 3. IJEBU-ODE – OlabisiOnabanjo University Guest House,Igbeba,Ijebu-Ode. 1. Visit the University Registration Website: http://putme.oouagoiwoye.edu.ng/apply.phpand complete the registration form online, thereafter printout OOU PUTME Screening Pass, one (1) week to Screening date. 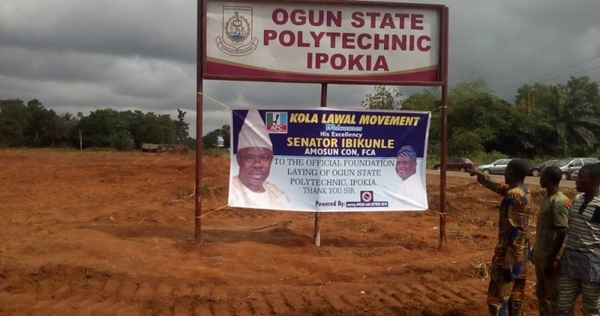 The Ogun State government has announced the appointment of Dr. Samson Adeola Odedina as the pioneer Rector of the newly created controversial Ogun State Polytechnic, Ipokia and approved a Governing Council for the institution. The appointment made known in a press release signed by the Secretary to the State Government, Taiwo Adeoluwa stated that Ambassador Isiaka Adesola Abolurin would head the Governing council committee. The acting rector of Moshood Abiola Polytechnic (MAPOLY) Ayo Tella would function as the Deputy Rector for the combined and newly created Ogun Polytechnic. The full statement reads “As part of efforts to ensure seamless commencement of academic activities at the Ogun State Polytechnic, Ipokia, following the approval of the National Board for Technical Education (NBTE) to transfer accredited courses of the old Moshood Abiola Polytechnic, Abeokuta to the new Polytechnic at Ipokia, the Ogun State Government has announced the appointment of Dr. Samson Adeola Odedina as the pioneer Rector of the institution. Dr. Odedina was a one-time Rector of the Gateway Information Communication Technology (GICT) Polytechnic, Itori. “In the same vein, it also approved the constitution of a Governing Council for the institution with Ambassador Isiaka Adesola Abolurin as Chairman. “The acting Rector of the old MAPOLY, Abeokuta, Mr. Ayo Tella will now function as the Deputy Rector for the combined and newly created Ogun State Polytechnic. “Other members of the Council are Engr. Niyi Olumide, Alhaji Waheed Kadiri, Prof. Kayode Biodun Olurin, Messrs Olaolu Idowu, Idowu Adegbite, Akin Orebiyi and Mrs Moji Bobade(nee Abiose). Others are Mr. Hakeem Olatunbosun Ayoade representing the Moshood Abiola Polytechnic Alumni Association, Chief Jare Oyesola representing the Ogun State Chamber of Commerce, Industry, Mines and Agriculture (OGUNCIMA) and Mrs. Roselyn A. Onalaja representing the National Employers’ Consultative Association (NECA)”. According to the release, Dr. Samson Adeola Odedina holds Ph.D in Crop Production from the Federal University of Technology, Akure, M.Sc in Crop Science from Rivers State University of Science and Technology, Portharcourt among other educational and professional qualifications. He joined the Federal College of Agriculture, Akure in 1990 and rose through the ranks to the position of Chief Lecturer in 2012 and was appointed Provost of the institution in 2015. 52-year old Odedina had a stint with the Ogun State Agricultural Development Programme (OGADEP) as Village Extension Agent in Ajebo village between 1986 and 1987. He has over 60 publications in National and International media. The chairman of the Governing Council, Ambassador Isiaka Adesola Abolurin was a career Diplomat who served as in various capacities at the Nigeria High Commission in Kenya, Nigerian Embassies in Germany and South Korea among other foreign Missions. He retired in 2016 as the State Coordinator/Head of United Nations office, Malakal, Upper Nile State and holds a Masters of International Law and Diplomacy from the University of Lagos and a Bachelor of Science. Candidates Eligible for Federal Polytechnic Ilaro Post UTME. The board has directed all candidates who wish to change their course/ institution to proceed to the board’s site and follow the procedure as displayed. The process is currently ongoing and costs N2, 500 only and can only be processed online, just like every other process of the board. Was there a mistake while filling your registration by either you or the business/cyber cafe? 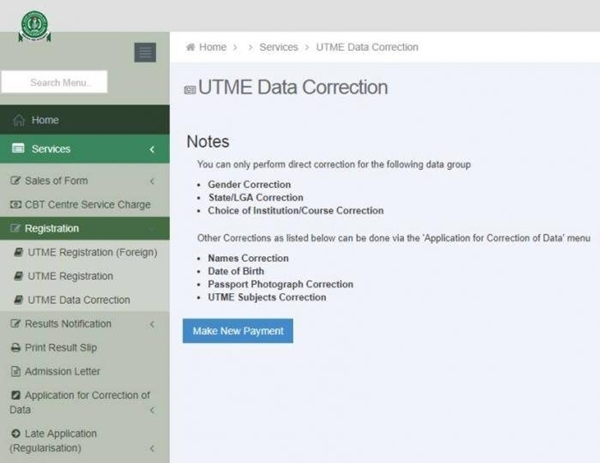 With this correction of data form, you can now correct any errors made during registration of your course/institution, gender, State/Local Government, Names, Date of Birth, Photo and UTME Subjects. Step 4- Click it and follow the steps to pay either online or bank. 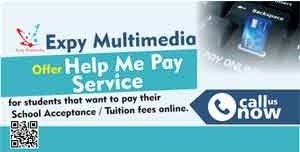 You can make your payment online via JAMB portal.